The Brussels Brontë Group commemorated Emily Brontë's bicentenary on Saturday, Oct. 13, 2018, with a talk on Wuthering Heights by John Bowen, professor of 19th-century literature at the University of York, followed by a celebration of Emily's poetry. Professor Bowen delved into the strange appeal of Wuthering Heights despite the violence and cruelty in the novel and the public’s enduring fascination with the book more than 150 years after it was first published. Then we were off on an exploration of the characters in the novel and what they mean to different readers and critics. Along the way, Prof. Bowen touched on the importance of naming in Emily’s novel, Charlotte Brontë’s feelings about Heathcliff, and Heathcliff’s feelings about himself. And throwing in an entertaining rendition of Joseph’s colorful chidings in Yorkshire dialect. Bowen, who is president of the Dickens Fellowship, also mentioned Charles Dickens’ apparent antipathy to the Brontës. 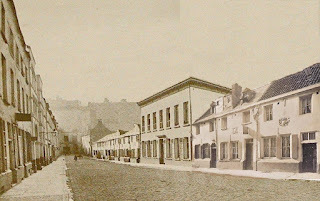 There is only one recorded instance of Dickens talking about the sisters from Haworth, and that is someone’s note about a conversation with the novelist in which Dickens said he never read the Brontës but ``disapproved of the whole school.’’ But reading Bleak House, it's hard to think that Dickens hadn't read Jane Eyre, Prof. Bowen said. On Wuthering Heights, the question he wanted to ponder was: Who is the main character? And relatedly: what is central to the novel? These may sound like straight-forward questions, and most of us no doubt had our own straight-forward answers. But Prof. Bowen demonstrated the complexity of the queries and how they go a long way to helping understand how readers react to Emily’s book. Even the narrators of the novel can’t agree on what it’s about – Mr. Lockwood thinks initially that it might be a story about him and Heathcliff; Nelly Dean knows it’s all about Heathcliff. Then Lockwood hesitates between different understandings of the story that he's hearing from Nelly. Bowen likened Lockwood to an over-enthusiastic novel-reader as he jumped to speculate about an affinity with Heathcliff – when of course the two characters are so different. While Lockwood is dividing the desolation with Heathcliff, we as readers of the novel have to decide how to divide our attention among the characters, Prof. Bowen said. Which ones do we give more weight to than others? 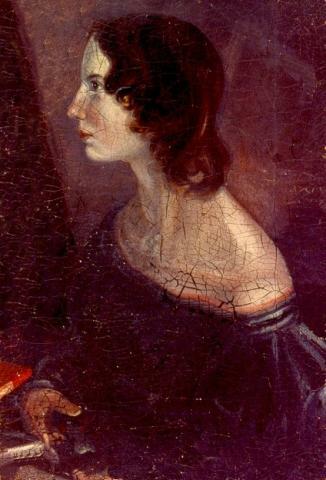 Emily Brontë has a particular way of guiding – but also dividing – the reader’s attention among the different characters. Many important disagreements about the book seem to stem from critics' and readers' different senses of who they care about, he said. Right from the start, a discussion about characters was central to deciding what the novel is about. Prof. Bowen cited one of the very first reviews of Wuthering Heights, in Spectator magazine in December 1847, which begins with a discussion not of plot, not of theme, but of its characters. Which characters the reader chooses to focus on colors how one interprets the novel. And the disagreements don’t go away as the novel becomes more familiar and gets more discussed over the years. Prof. Bowen cited literary critic Q.D. Leavis, in her influential reading of Emily’s novel (which also was discussed by Professor John Sutherland when he spoke to our group in April). Leavis declared the first Catherine’s story ``the real moral center of the book’’ and called Heathcliff an ``unsatisfactory composite,'' saying Heathcliff was ``an enigmatic figure only by reason of his creator's indecisions''. Saying he ultimately doesn’t agree with Leavis’s reading of Wuthering Heights, Prof. Bowen said there's no easy way to reconcile the different interpretations of the novel. The conundrum points to an important aspect of how the book captures our attention. The motor of the plot and our attentiveness to it are constantly in motion, Prof. Bowen said. One reason not to consider Heathcliff as the center of the novel, Bowen said, is the title that Emily gave it. 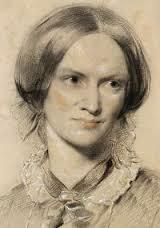 The names of the other Brontë novels -- Jane Eyre, The Tenant of Wildfell Hall, Shirley, Agnes Grey, The Professor -- all point readers to a single central character. Only Wuthering Heights and later Villette encourage us to distribute our attention differently, to a group of characters. From the naming of the novel, Bowen segued to the naming of Emily’s characters in it. 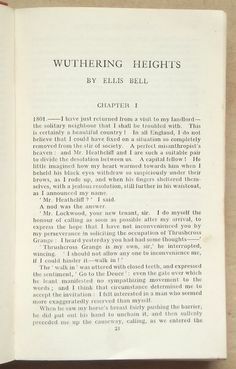 Most novels have a much more straight-forward relationship with naming than Wuthering Heights does, indicating that Emily was aware of how unstable naming and identification can be. This comes through in the multiple and echoing names the two Catherines go through, and also the singularity of Heathcliff’s one name. Prof. Bowen said part of the distinctiveness, creativity, and strangeness of Wuthering Heights comes from the fact that, though Heathcliff is arguably the main character, the book gives the reader almost no access to his consciousness. It's very customary in the English novel for the central character to have a very close, self-revealing relationship with the reader, Bowen said, citing Jane Eyre and Villette‘s Lucy Snowe as prime examples. But we almost never get inside Heathcliff’s head. In one way, he has centrality; in another way, you get almost no access to Heathcliff’s internal thoughts. It’s through other people in the book that we gain insight about Heathcliff’s character, whereas in Jane Eyre, the reader is deeply aware of Jane's thoughts and feelings. A recognition or a revelation for Heathcliff, the scene is ``the moment when Heathcliff is most articulate about himself,’’ Bowen said. Readers of Emily's poems - they were all brilliant!